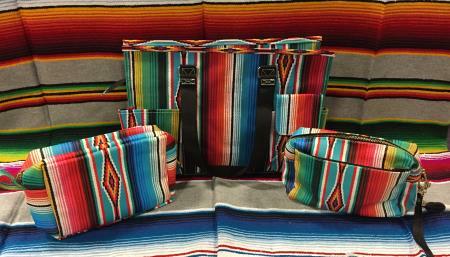 Serape is the best color and print! Now with these bags anywhere you go you will be the talk of the crowd. Choose from large cosmetic bag, cross body purse or organizer.